Teachers do so much for our children . I bet you can think of one teacher in your own school career that really made a difference. I remember it was my high school English teacher, one of my least favorite subjects. He really took the extra time to make sure I improved my writing, a work in progress. 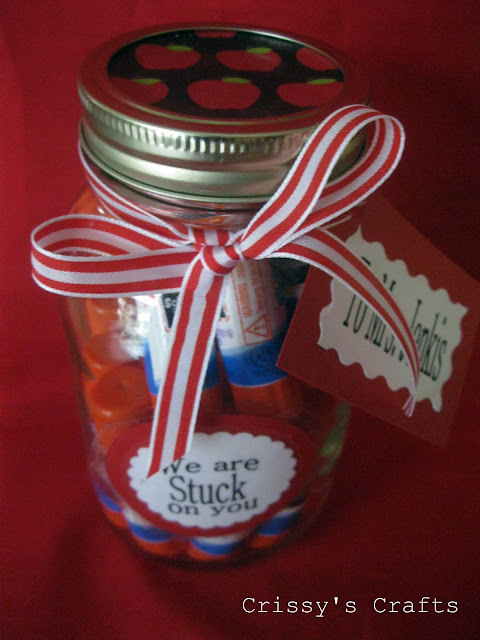 Teacher appreciation week is approaching and consider giving them a token of your appreciation no matter how small. 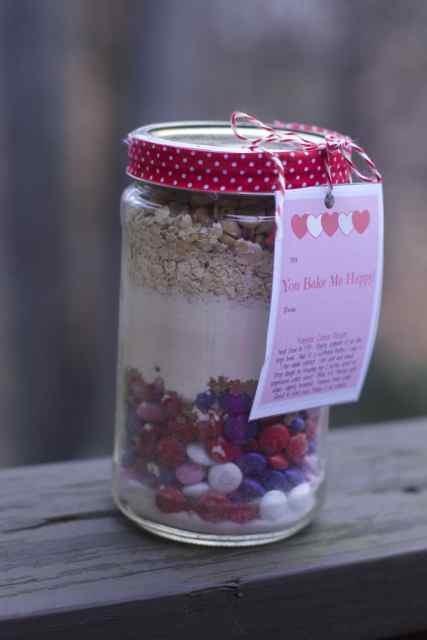 I have compiled another list of great DIY Teacher Gifts you can easily make. This is such a clever idea and you can find these plastic light bulbs at your craft store. I used them for our Firefly party. 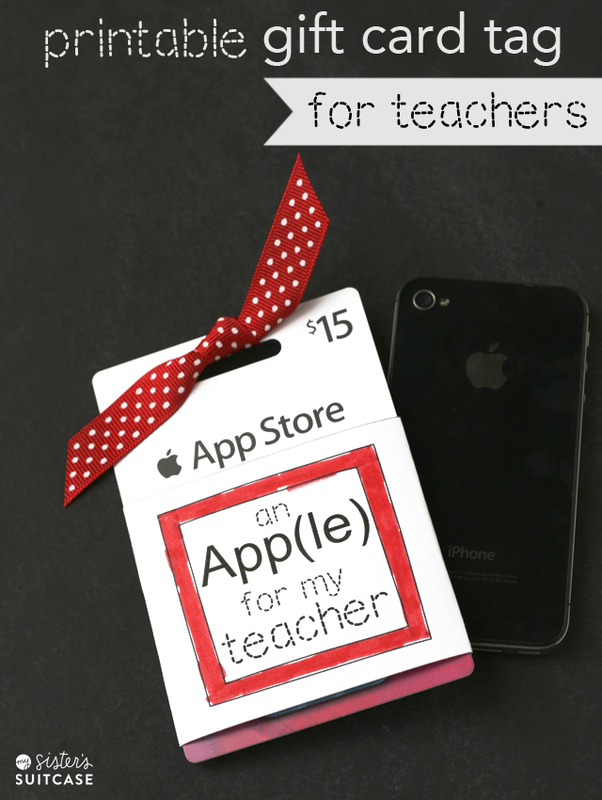 Maybe you can collect money from the class and buy a nice Apple Gift Card. It is may which means summer break is quickly approaching for teachers. 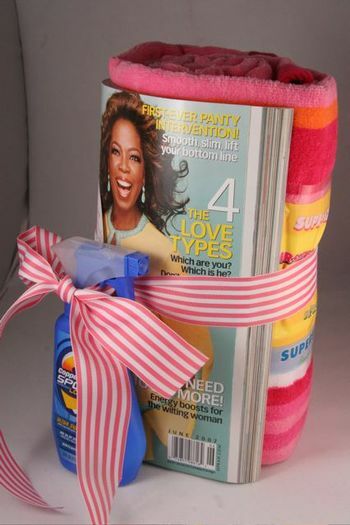 Think ahead and give a DIY teacher gifts of relaxation and summer fun. Here is such a simple treat that you can make for multiple teachers and are not very expensive. Cookies in a jar no matter what the holiday is a great gift. Teachers are always in need of extra supplies even at the end of the year. 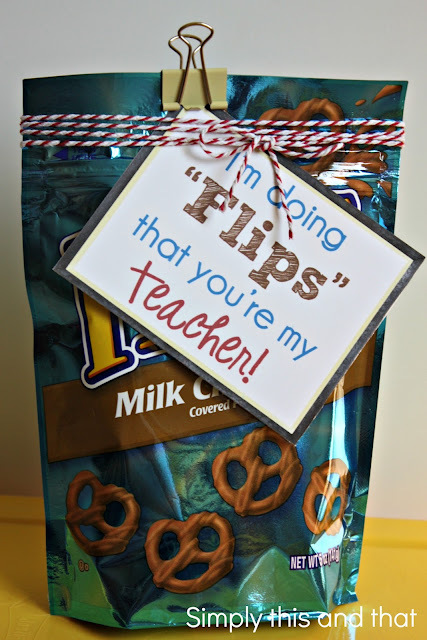 Consider this simple but fun Teacher appreciation gift that they will love. For the Tea loving TEAcher here is a cute and very useful Teacher gift. Another great pick me up, chocolate covered pretzels. Make your own or buy a bag of these at your grocery store. This tag would also be cute with a pair of flip flops. Another fun teacher supply gift. Click for free printable. Nail polish is all the rage. Buy a teacher a gift card for a manicure or supply them with a fun summer nail polish with this adorable tag. 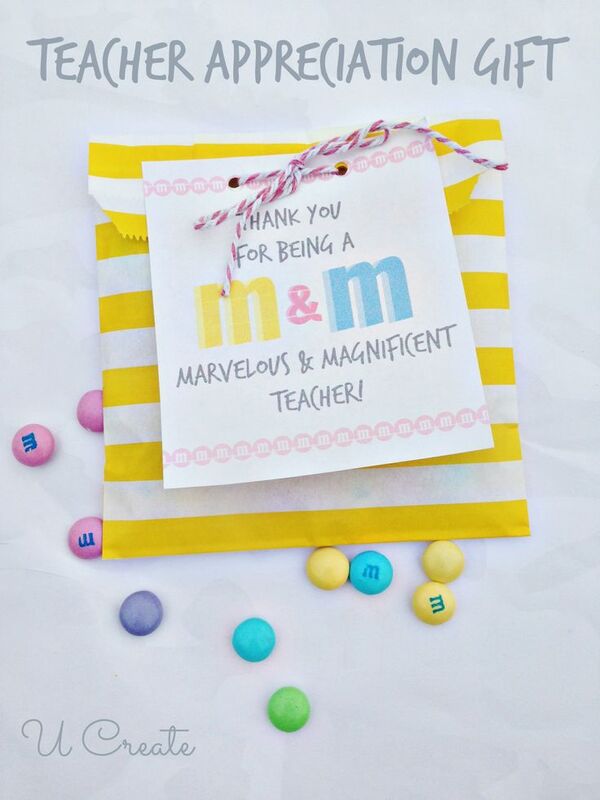 Make a bunch of these cute M & M bags for a bunch of teacher gifts this year. 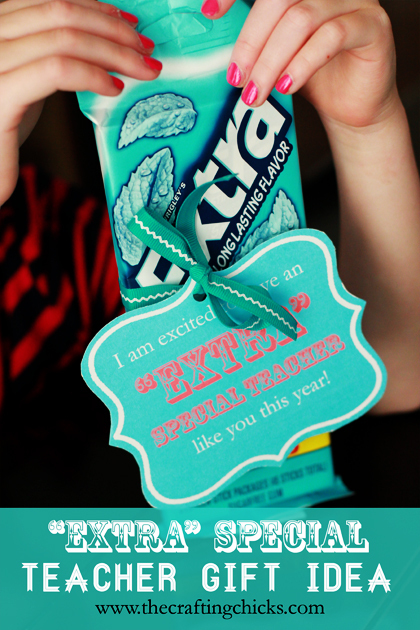 Let your teachers know they are Extra Special with this Teacher appreciation gift tutorial. 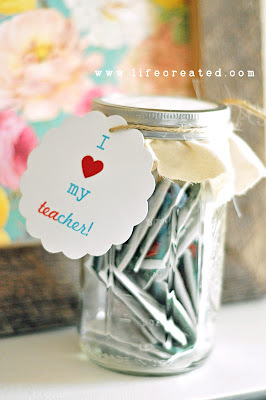 Love this fun teacher appreciation gift and printable using a mason jar and a few candy bars. Thanking someone can be done in simple inexpensive gestures. 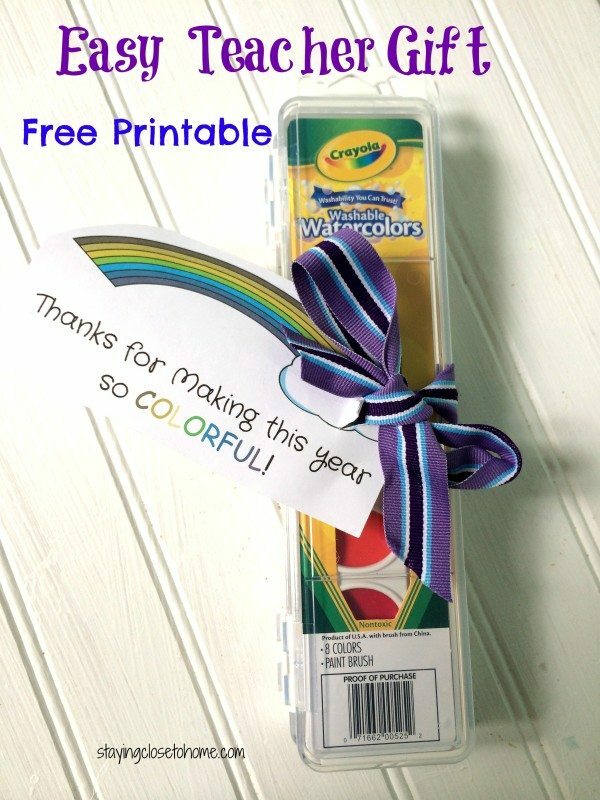 Grab this free printable and throw some color to your teacher with this super easy Teacher Gift with a rainbow theme. 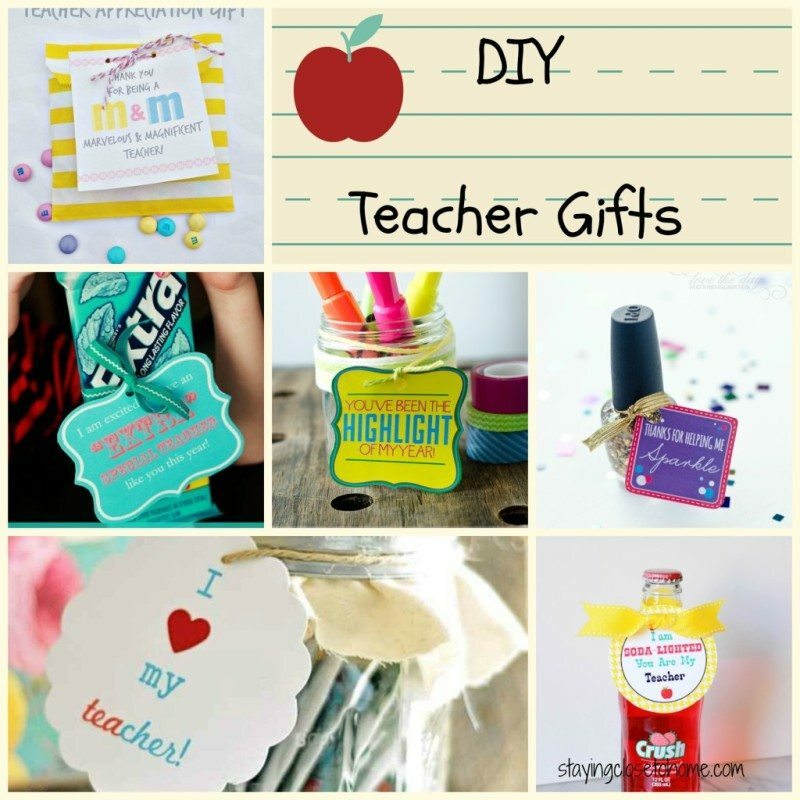 What is your favorite DIY Teacher Gift? My dearest neighbors are teachers and until I met them I had no idea how hard teachers work and how many hours they put in every day! And most of the time without the appreciation they deserve. These are all wonderful and I’m going to make something for them! Glad you liked them Amy, look forward to seeing if you make anything this year! I love these ideas! They are so cute. I end up buying things and they cost so much money.